Although I dislike Holman-Hunt's obsession with religious images, I do enjoy his slightly less religiously intense works such as The Awakening Conscience. 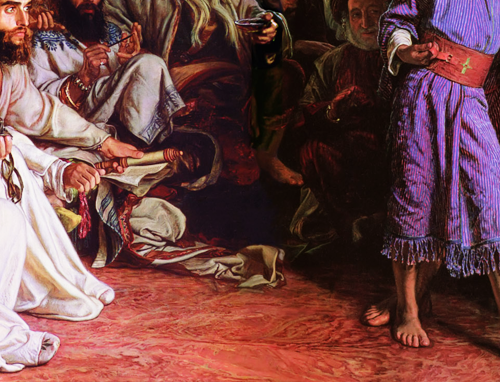 However, without doubt, upon viewing the lavish details of his work in person, they are certainly awe-inspiring. 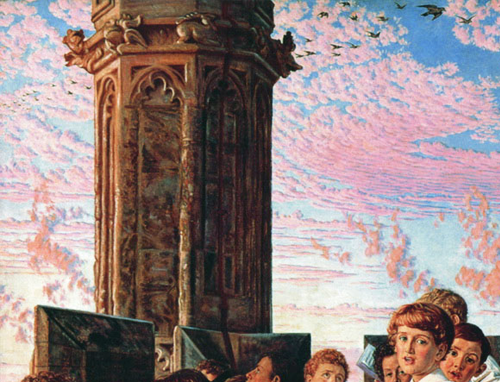 The clouds and roses of May Morning on Magdalen Tower (1891) and the lattice work and fabrics in Finding of the Saviour in the Temple (1860), for example. Hunt's colours are also striking, particularly in conjunction with his details. For example in May Morning, the bright pink of the fine, whisping clouds against the bluest of blue skies are captivating. They are simultaneously divine and earthly, providing the perfect backdrop for the scene below, as well as demanding attention themselves. 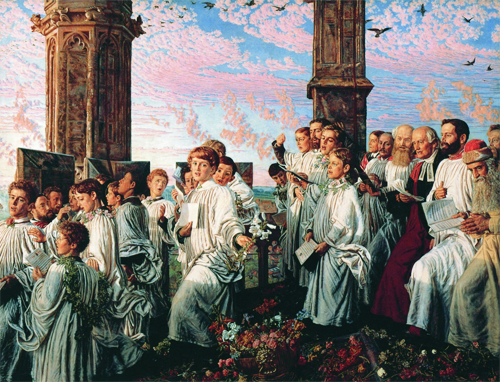 Holman-Hunt's command of light creates scenes which are indeterminate in their location and spiritual properties which is a religious symbolism I can appreciate.